Like most Southern cooks, I keep a jar of bacon grease in the fridge. If you don’t, just slowly fry 3 or 4 slices of bacon in a skillet to render the fat. Remove the bacon and save it to crumble on top of the finished green beans right before serving. 1. In a medium saucepan, melt the bacon grease. Add the onion and cook, stirring occasionally, until softened. 2. Add the seasonings and beans, tossing to coat the beans, then add the broth. Bring to a boil, then lower heat and simmer until just tender. 3. If you have any Yankee blood in you, stop cooking when the beans still have a little bite. 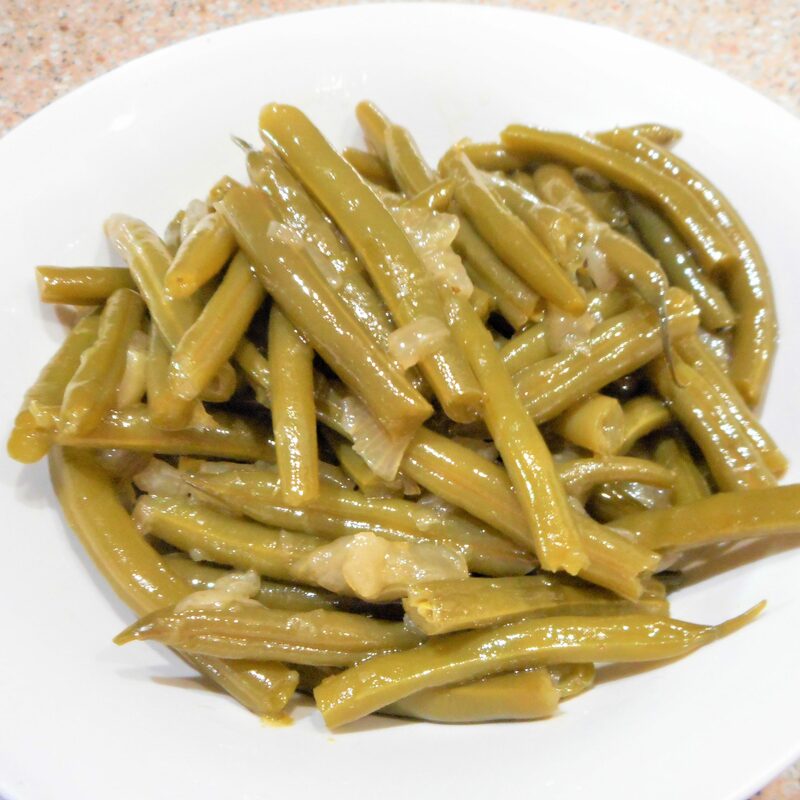 If you are a down home Southerner, cook until the green beans are very soft. Either way, enjoy!